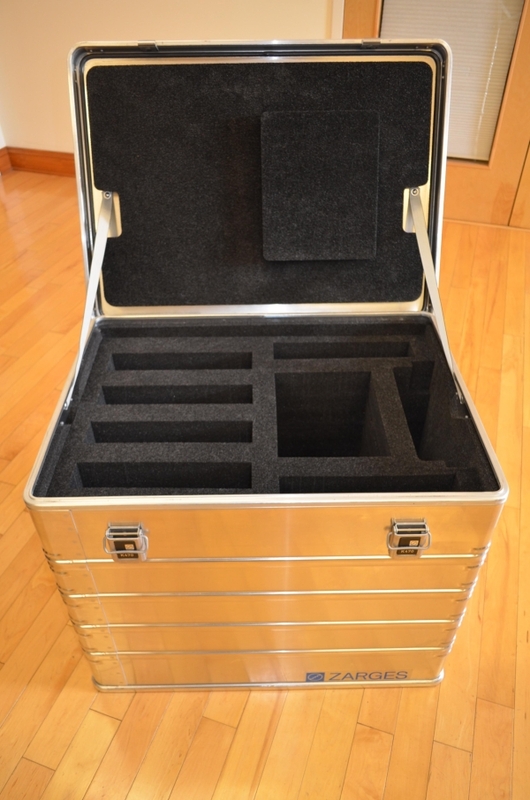 Custom Foam Inserts – New World Case, Inc.
To best protect a delicate or intricately designed product, we recommend custom foam inserts over stock foam inserts. This is because they can so easily and so thoroughly be manufactured to fit your product. First, custom foam inserts can be made using a great many processes. These include CAD routing, hand prototyping, steel rule die cutting, convoluting and waterjet cutting. All of these processes allow for custom foam inserts with precise dimensions. For extra deep cuts and exceptionally large products, manufacturers can make wire cut foam inserts. They can make them as thick as 50 inches or more. In addition, manufacturers can design them with special properties, like anti-staticity, or special additions, like an adhesive backing. Foam properties like polyethylene can range in appearance from nearly transparent to opaque. Because of this, and because they accept modifications, custom foam inserts can also be infused with a wide variety of colors. Custom foam inserts provide products on the shelf, products in transit and regularly stored products with the best possible shock absorption rate, the ideal density and the longest service life. Manufacturers can make them durable and safe enough even to cushion potentially dangerous items like rifles, firearms, hand grenades, bows and crossbows. They can also fabricate them with special shapes, like those that hug the curves of stethoscopes or pressure gauges. This diversity makes custom foam inserts ideal for use in many industries, including military and defense, music, art supply, medicine, electronics, biotech, sports, retail and trade, engineering and IT. In contrast to all of this, stock foam inserts are often ill-fitting and not made with the right material for the products they are meant to house. This leads to them wearing out relatively quickly. It also opens up products to the possibilities of dislodgement and/or damage. Neither are stock foam inserts attractively colored. With them, you get what you get. This is why, if you want the best protection and the best look, you will seek out custom foam inserts. To begin work on your custom foam insert, we recommend that you connect with a reputable custom foam insert manufacturer and then do one of three things: 1) send in a drawing, 2) construct and send in CAD layout or 3) send in the part you need protected and let the manufacturer design the insert for you. Find the right manufacturer for you by checking out the list of top quality companies that we have listed below. Good luck! Custom Foam Inserts Foam inserts are inserts made from materials like polyurethane, polyester and polyethylene. Their main objective is to provide a cushion to products in transition, such as cameras, laptops, knives, telescopes and virtually anything else that needs to be held when not in use. It is quite common to find foam inserts inside both carrying cases and shipped boxes. They range from light duty to heavy duty. 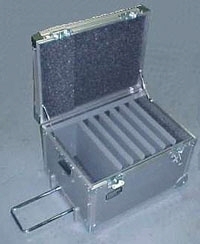 Examples of carrying cases designed with foam inserts include: tool cases, instrument cases, shipping cases, medical instrument cases, presentation cases and tradeshow cases.